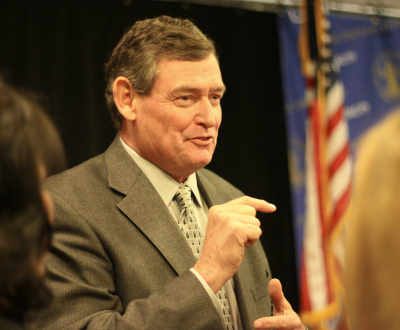 Chancellor White will pay his second visit to San Jose State on Sept. 6, following up on a brief stay in January to discuss SJSU’s online learning initiatives (Christina Olivas photo). When Chancellor Timothy P. White took the reins of the California State University system in January, he announced plans to visit each campus. SJSU is up next. The campus community, general public and media are invited to an open forum 11:30 a.m. to 12:15 p.m. Sept. 6 in Engineering 189 (view a campus map). The chancellor will also visit SJSU’s Next Generation classrooms and meet with students, faculty members and administrators. 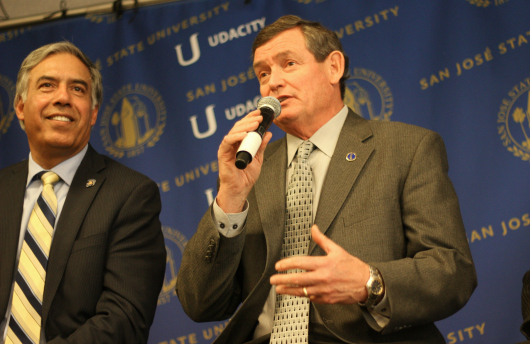 Video of the open forum will be streamed live from the SJSU home page. Please call the Office of the President at 408-924-1177 if you need special accommodations. This event is wheelchair accessible.